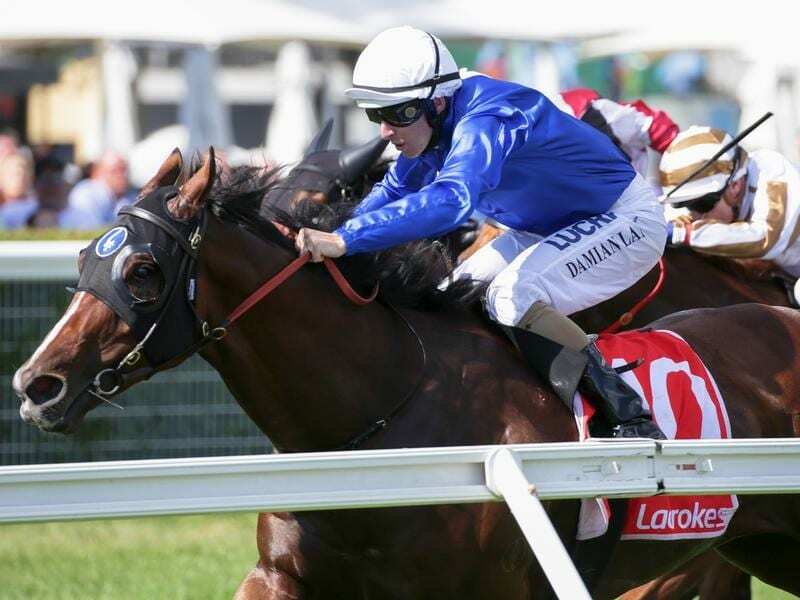 Tin Hat capped a stellar day for the Godolphin team with his win in the Manfred Stakes at Caulfield. Tin Hat has completed a two-state stakes race double for Godolphin, outpacing his rivals in the Manfred Stakes at Caulfield. The James Cummings-trained three-year-old took out Saturday’s Group Three race to complement the earlier success of Alizee in the Group Two Expressway Stakes at Rosehill. Completing a winning treble for Damian Lane, Tin Hat was the $3 favourite in scoring a 1-1/4 length win over Halvorsen ($15) with Poised To Strike ($4.20) a half-head away third. Tin Hat is now undefeated in three runs since undergoing a gelding operation after a failed early three-year-old spring campaign. Melbourne-based Godolphin assistant-trainer Kate Grimwade said the gelding operation had done the trick. “He’s been such a consistent horse and James has just brought him through his grades and I think this preparation has gone beyond our dreams,” Grimwade said. “There was no doubt he was meeting some classy horses there so I think fitness gave him the edge today, but he’s been relatively unexposed. “You can put a line through his second preparation and if you look at his first and third then he’s a really exciting horse. Grimwade said she expects more to come from from Tin Hat, although she’s unsure of immediate plans for the gelding. “That was only his third start for the prep and he’s seems to be keeping his training which is fantastic,” Grimwade said.